﻿ 5 things Real Madrid should do to win against Atletico? 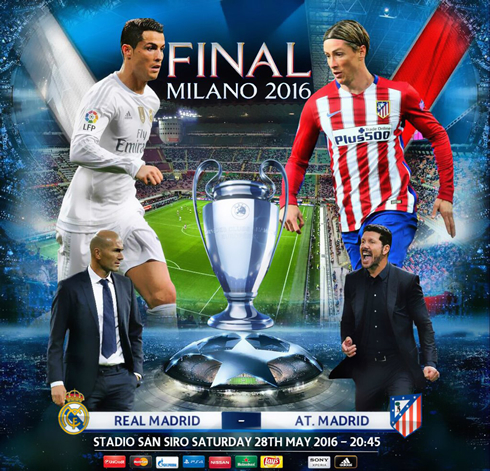 The UEFA Champions League final will take place this Saturday evening in the city of Milan, as Real Madrid and Atletico Madrid prepare to lock horns in another episode of their epic rivalry. 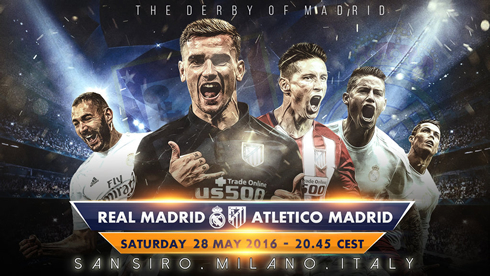 Can Real Madrid wrap up "La Undécima" or will Atletico get their revenge from 2 years ago? It's the game every football fan has been waiting for since the beginning of the season. It's the Champions League final and there's no bigger honor in club football than this. 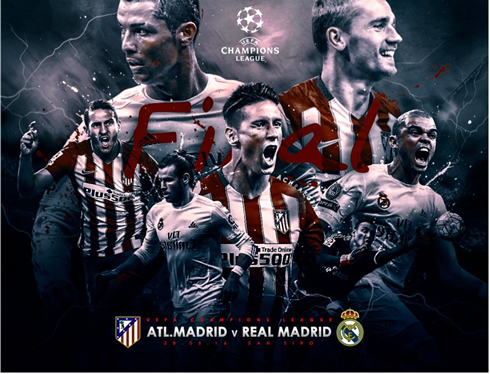 Real Madrid chases the 11th European Cup in their history, while Atletico are ready to put their hearts out in hope of becoming European champions for the first time ever. It's going to be a game of contrasts, with the Merengues looking to find their supremacy through a more attacking-minded type of football and the Colchoneros repecting the rules of a more defensive approach and sticking to their tactical discipline. Real Madrid are currenty favorites to lift the trophy with their odds fluctuating near 1.75 and Atletico playing that underdog role that Diego Simeone loves so much, with bookies pricing them at 2.15. We're not suggesting the Merengues shouldn't adapt to their opponent, but if there's anything we've learned from the past when we're talking about Real Madrid is that they shouldn't approach these type of games with an excessively cautious mindset. Zidane will have Bale, Benzema and Cristiano Ronaldo free of injuries and that's the kind of firepower he should rely on to breach Atletico's fortress. With bookmakers like 888sport pricing the "over 2.5 goals" bet at 2.40, any goal can prove to be vital. //2. "Unus pro omnibus, omnes pro uno"
The latin phrase above represents the motto Real Madrid should follow on Saturday: "One for all, all for one". If there were games this season where the Merengues could afford to have players not defending when the team lost possession, that certainly can't happen against a side like Atletico Madrid. It will be crucial that the players upfront engage into this game with the proper defensive mentaility and that means tracking back and chasing the ball whenever the Colchoneros decide to move forward. Assuming Zidane will trust on his star players upfront and end up playing the BBC right from the start, he shouldn't neglect the importance of organizing his team on the pitch in a way where he's capable of crowding the midfield areas whenever that becomes necessary. Casemiro will be vital in his holding midfielder role, but so will be Modric and most likely Toni Kroos. If these 3 men manage to bring their A-game in tactical terms, Real Madrid can certainly gain the upper hand over their rivals Atletico. If there's one thing where Atletico is probably better at than Real Madrid, that has to be the level of competitive aggressiveness they put on in their games. It's no secret that Simeone's men embody their coach personality and mindset when they step onto the pitch and what Zidane and Madrid players must do is to get as close as possible to those aggressiveness levels. Otherwise, rest assured Atletico will win pretty much every loose ball and challenge throughout the game and that's usually halfway to beat your opponent. When you have the best player in the world in your side, it's no felony to expect him to make the difference. 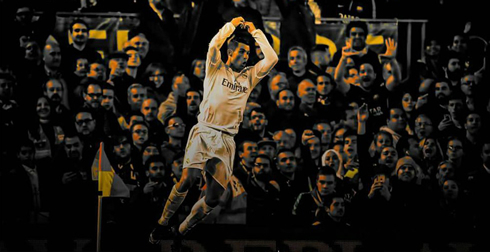 Cristiano Ronaldo is currently leading the Champions League goalscoring charts with 16 goals in 11 appearances so far. He knows what is like to score against Atletico and he knows what it takes to score in a Champions League final (he already did twice, first in 2008 for Manchester United and more recently in 2014 for Real Madrid, precisely against Atletico). On Saturday, he'll be against what is probably the most solid defense in world football these days, but if there's anyone who can hurt them when they least expect that has to be Cristiano Ronaldo. If you're interested in adding even more excitement to this Champions League final, 888sport will get your winnings tripled on your first bet as a new customer. 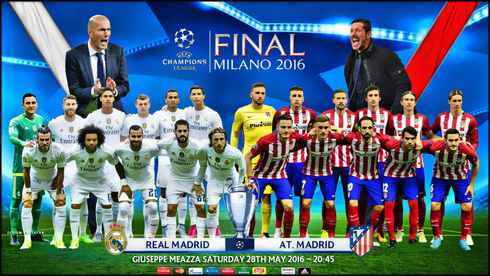 Don't miss this golden chance and bet on the UEFA Champions League final here. 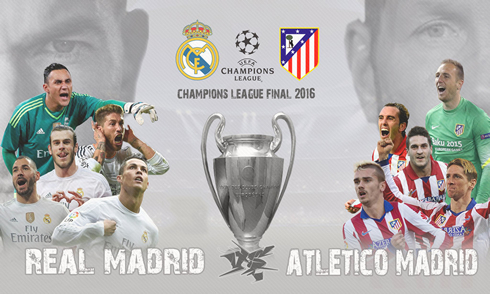 Cristiano Ronaldo next game with Real Madrid is for the Champions League on May 28 of 2016, against Atletico Madrid. You can watch Juventus live stream, Real Madrid vs Atletico Madrid, Argentina vs Honduras, England vs Australia, Hull City vs Sheffield Wednesday, and Ireland vs Netherlands, all matches provided from our football live stream game pages.